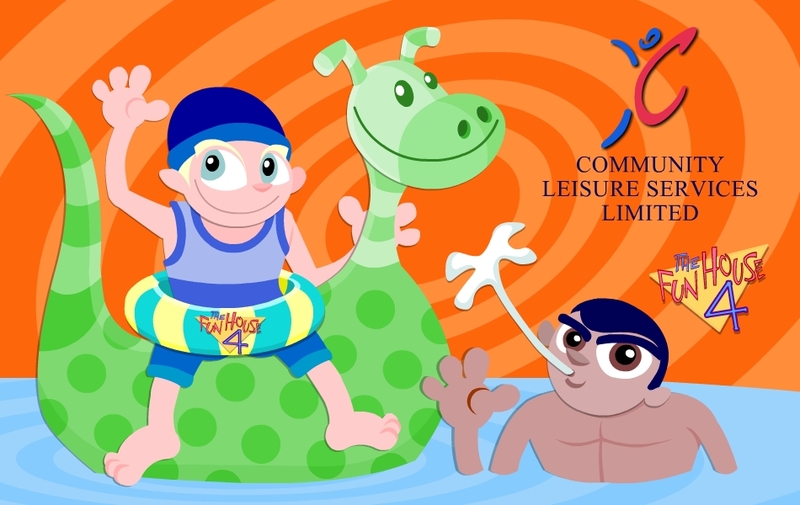 I worked with Community Leisure Services for over two years. 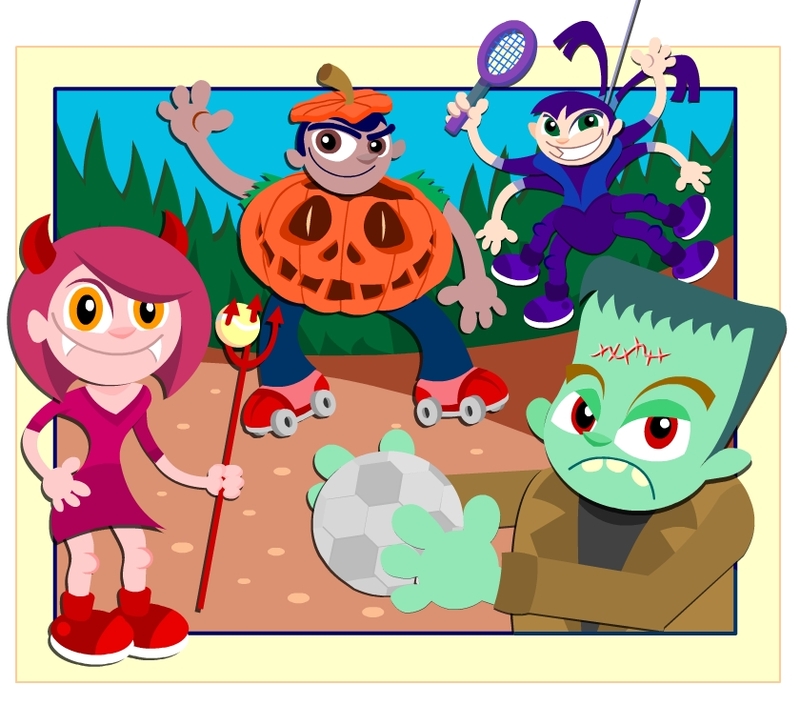 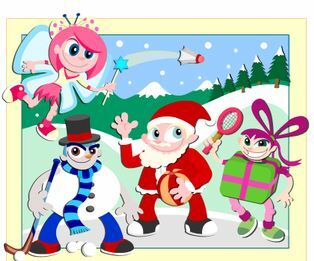 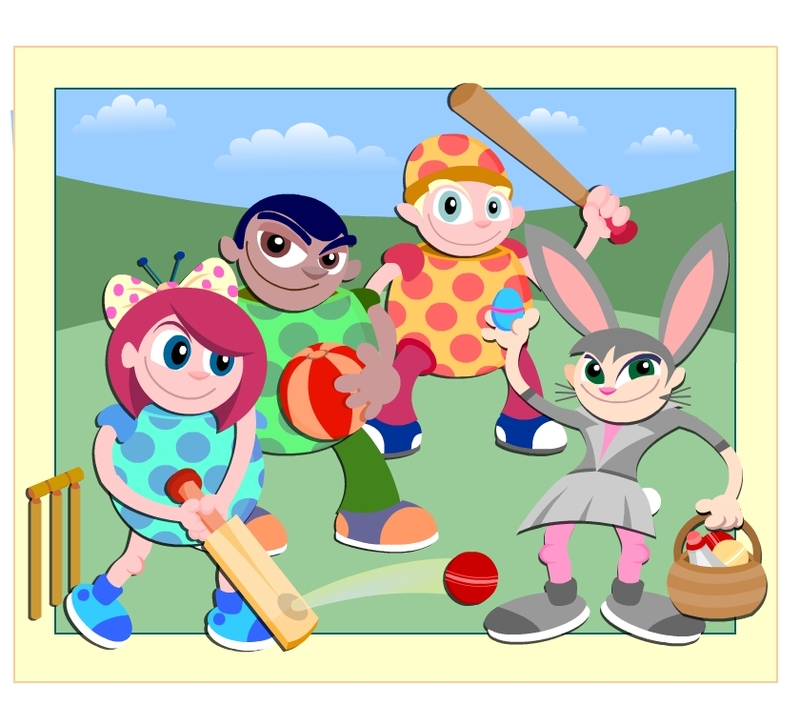 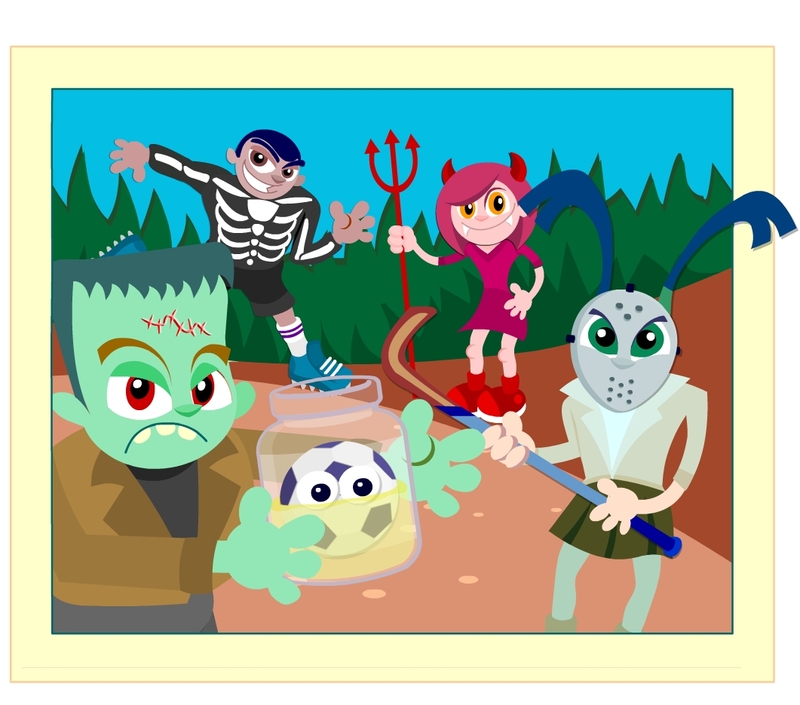 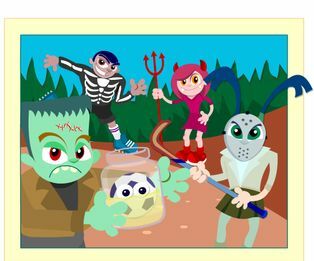 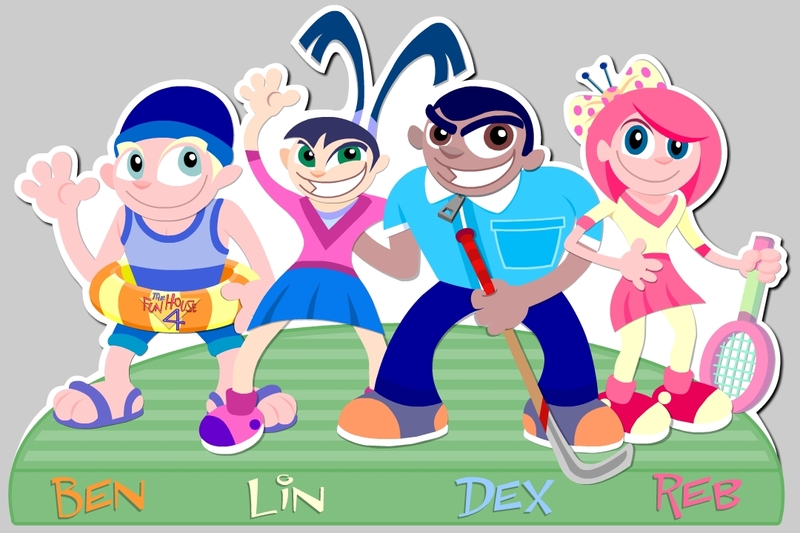 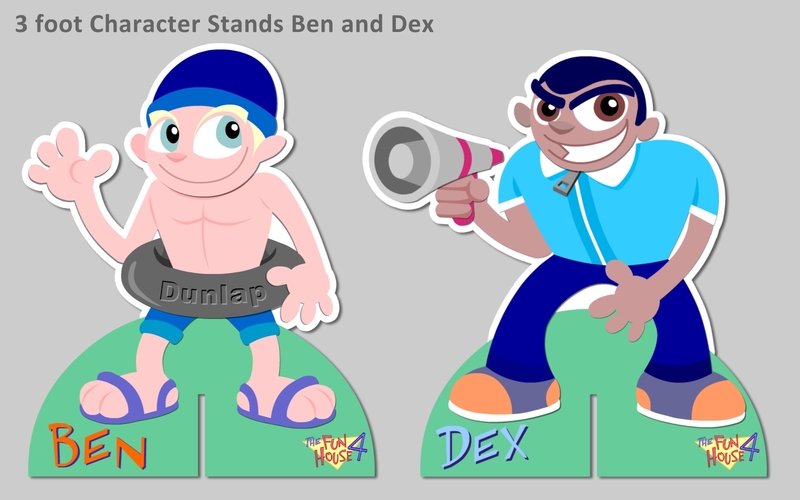 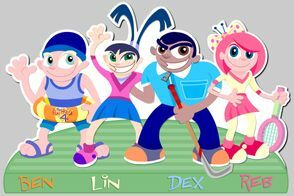 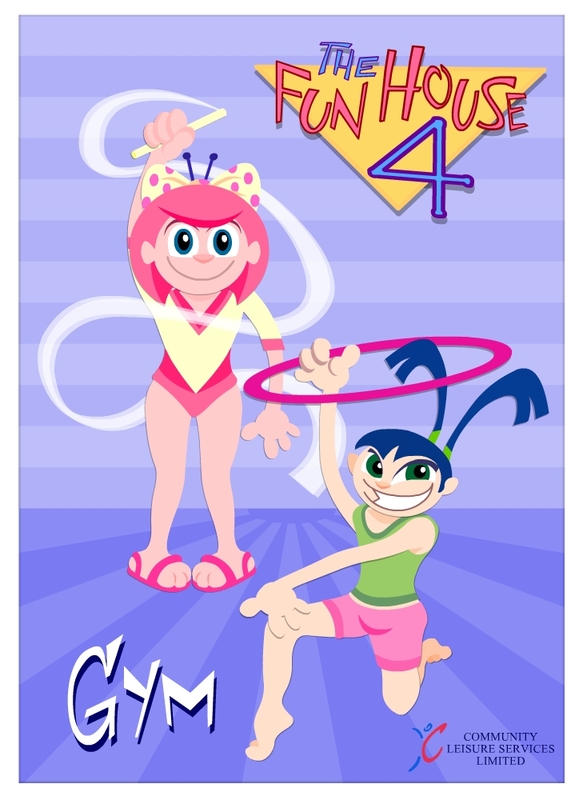 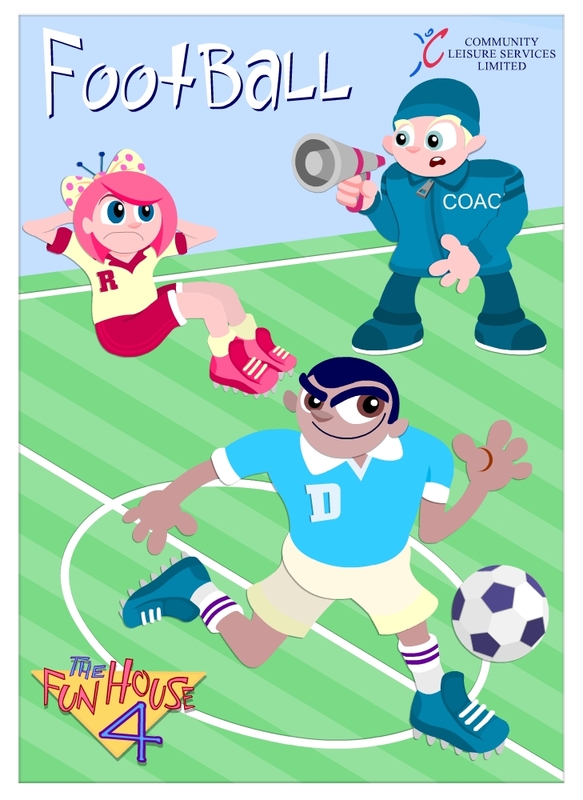 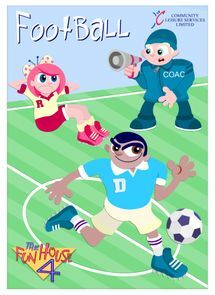 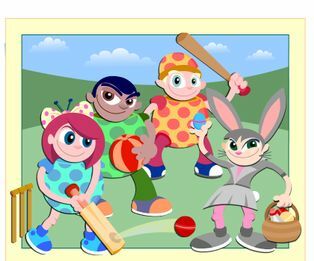 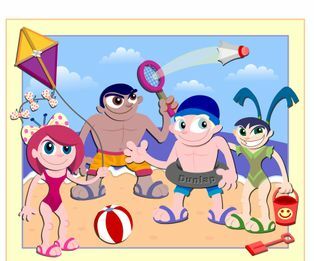 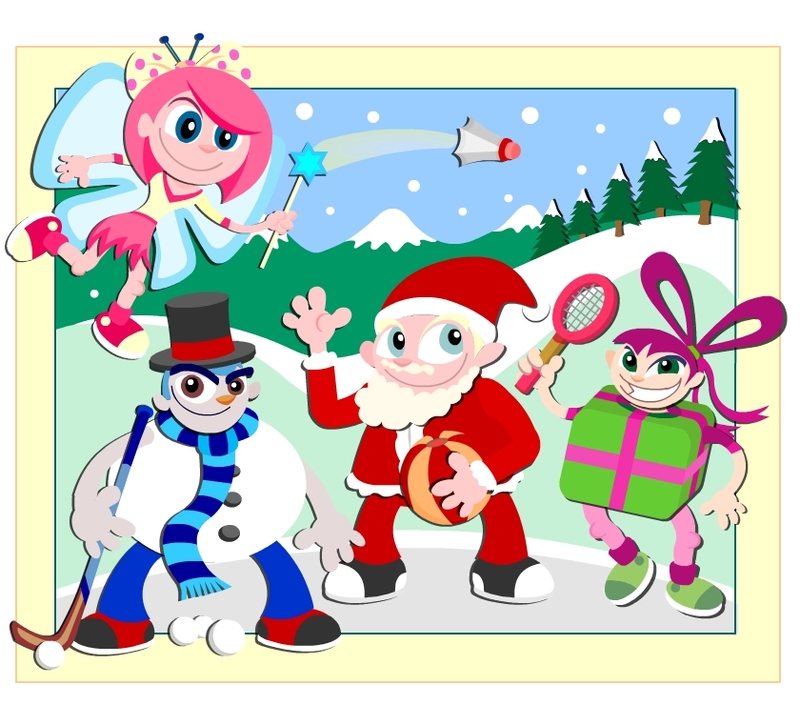 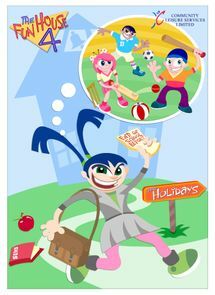 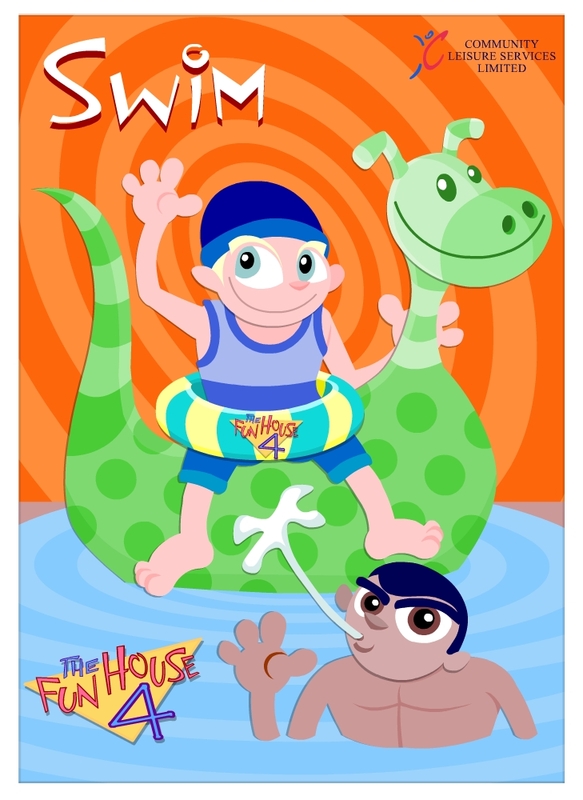 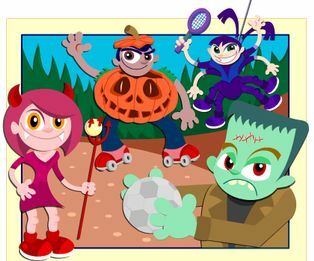 I Created them a set of characters named the Fun House 4 to promote exercise and sport to the younger generation. Over this time I illustrated their regular timetables, produced the artwork for large cut out promotional displays, as well as posters promoting various sporting activities available. 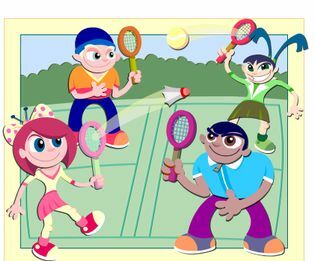 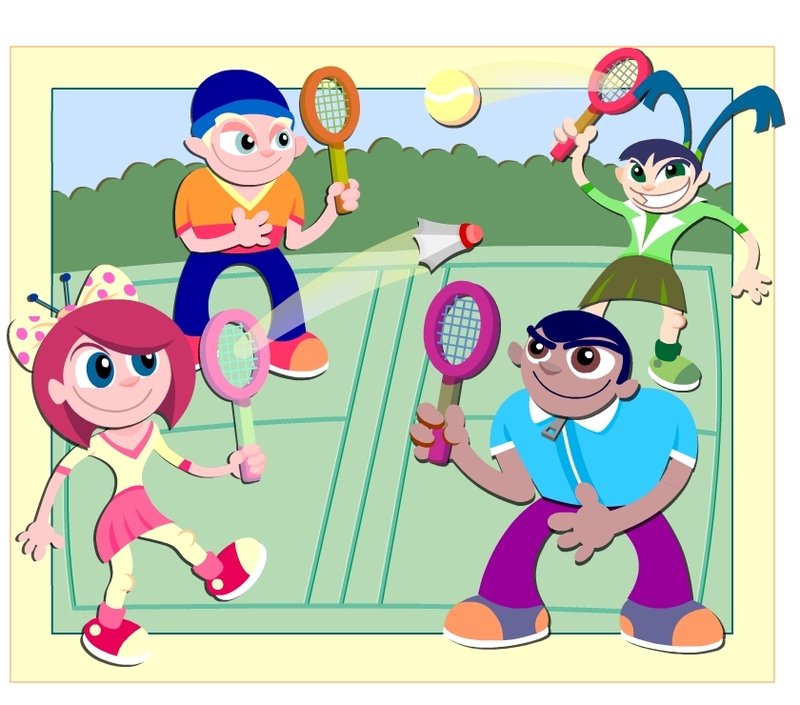 I also made a prize based tennis game to go on their various leisure centre websites. 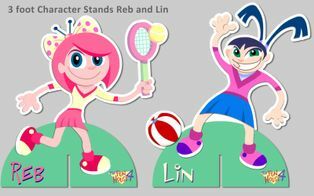 Screen grabs from the various projects can be seen below.